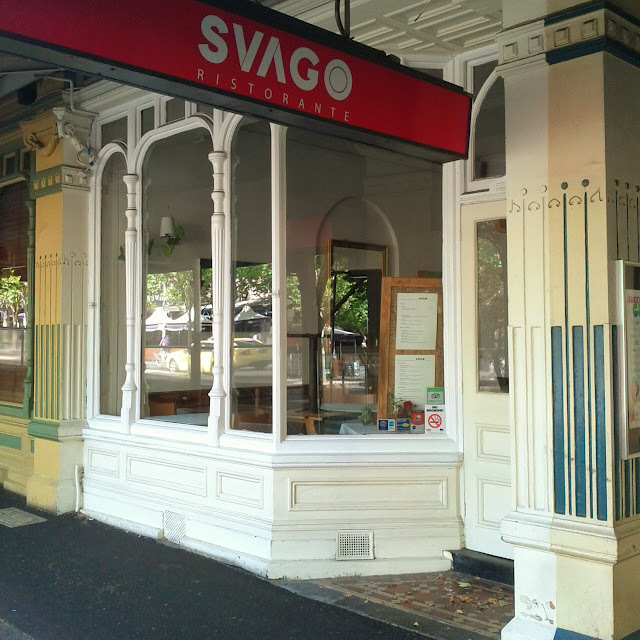 We'd read about Svago and when we walked down the busy Lygon street its more laid back yet elegant feel appealed to us. 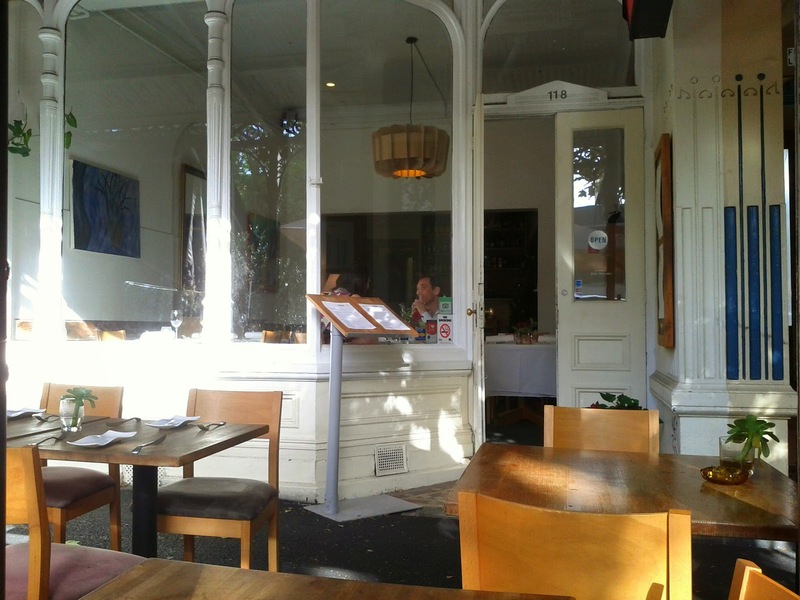 After checking if we had a reservation the charming tall German waiter offered us a table inside or let us choose one on the street, then asked if we were in a hurry, and warned us that the kitchen was a little crazy. We didn't have any other plans for the evening and given the cool change had resulted in a pleasant temperature we decided to stay. 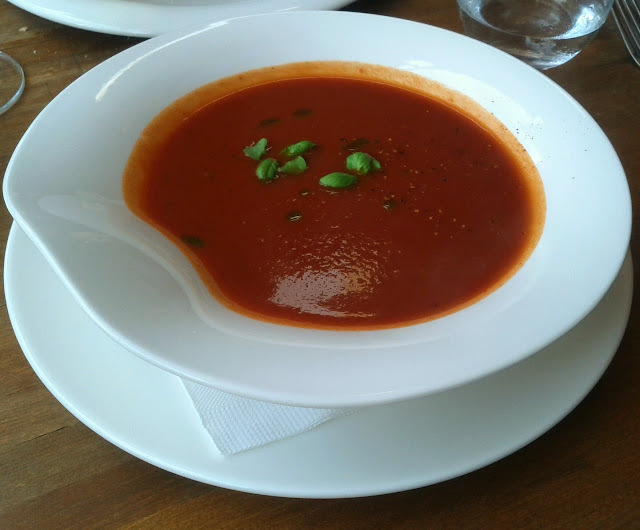 My choice to start was the roasted tomato soup and while I didn't notice the crunchy Cherry tomatoes the basil oil was the highlight of the dish. The sardines were served with plenty of roasted peppers and basil on toasted bread. They looked great and were soon polished off. 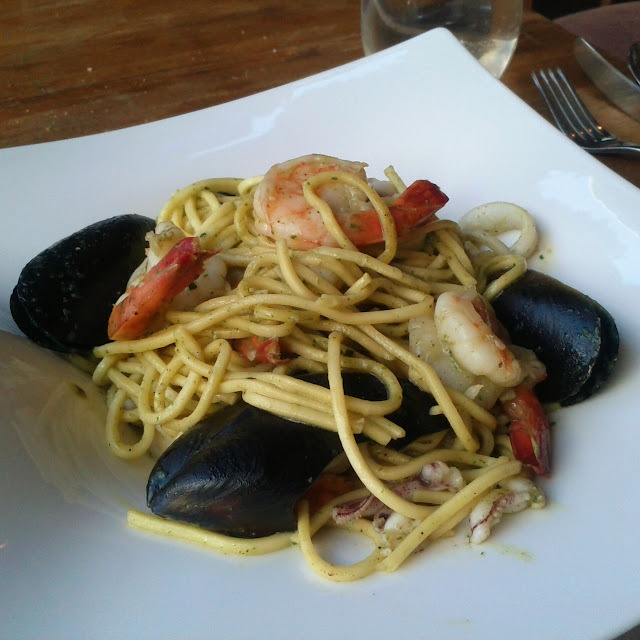 The wait for our mains wasn't quite so long, I had the Spaghetti del Mar, which featured beautiful home-made pasta with fresh seafood including prawns, mussels, calamari and perfect scallops in a Salsa Verde sauc. 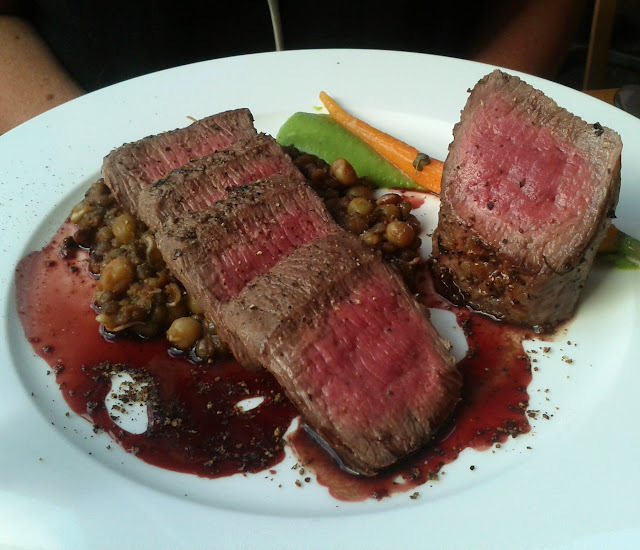 The loin of lamb looked impressive, with a generous helping of backstrap served with braised sprouted legumes, pea puree and Juniper berries jus. 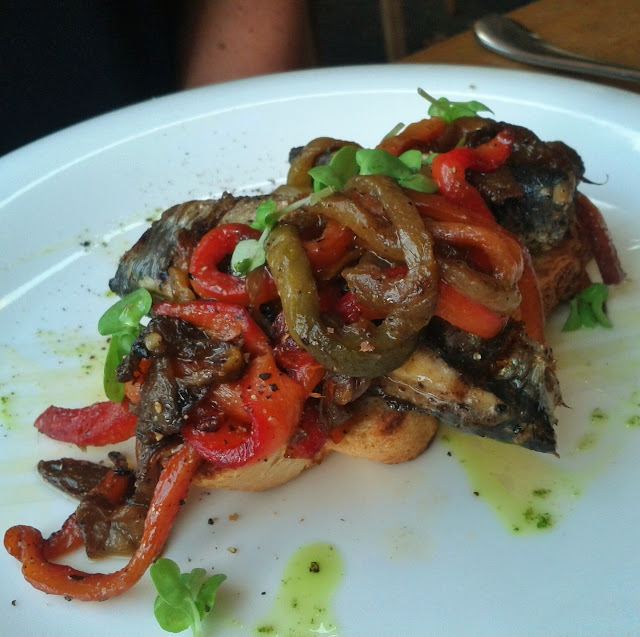 Appearances weren't deceptive, and dish went down well, with all the elements proving to be a success. While the delay was a little longer than we expected, the food was worth the wait. The waiters warnings and updates were all delivered with great humour which made the evening more memorable. The bill came in just under $110 including 3 glasses of wine. We'd definitely return, if we were looking a relaxed evening and some great Italian influenced food in Carlton.